We specialise in making memorial plush toys to help with the loss and grief you feel after losing your beloved pet. 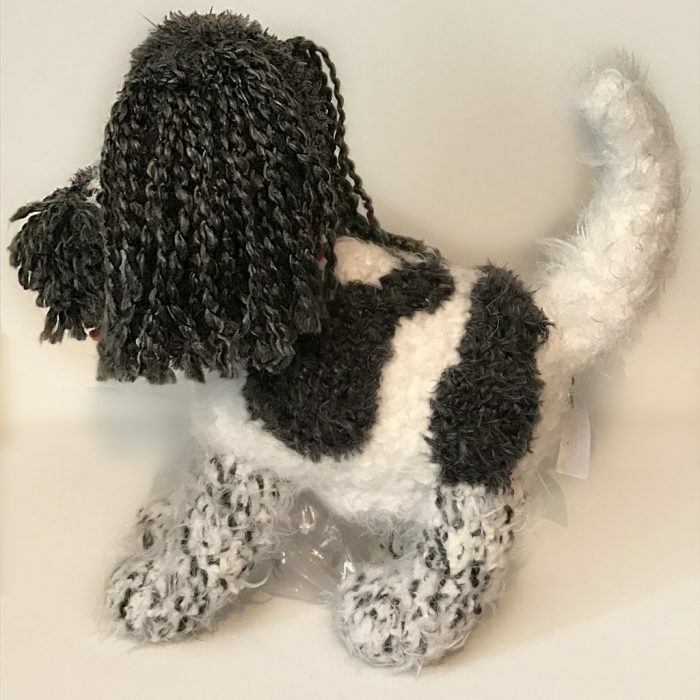 Each toy will be carefully and thoughtfully handmade to replicate the details of your beautiful pet and their ashes will be respectfully and carefully placed inside to create a unique and comforting urn. Please note there is a 1-2 week waiting time for this product due to the bespoke handmade nature of the item. Please list any special features of your pet e.g. patches, quirky features etc. 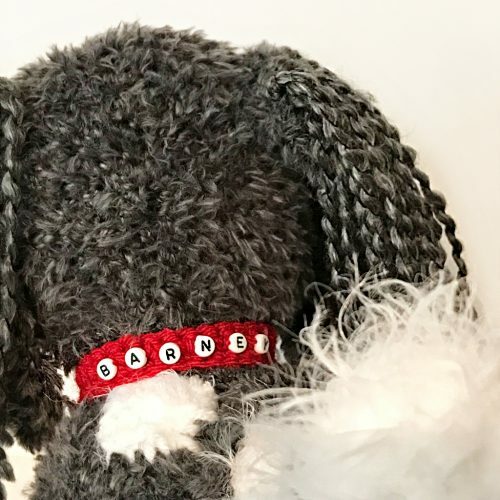 When a pet passes away, it is losing a member of your family. 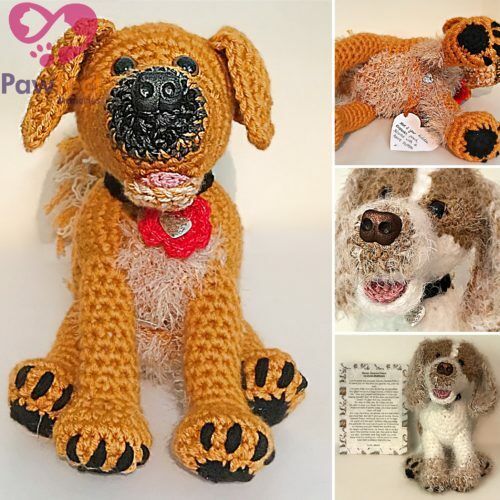 At Lovingly Handmade Crochet, we want to make this easier and offer comfort to those who have lost their companions. 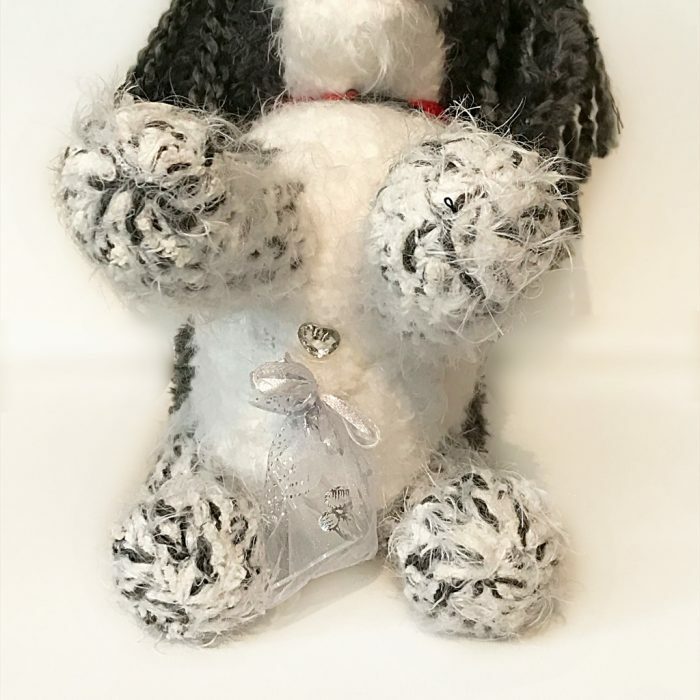 We specially create your memorial pet to contain your pet’s full ashes. 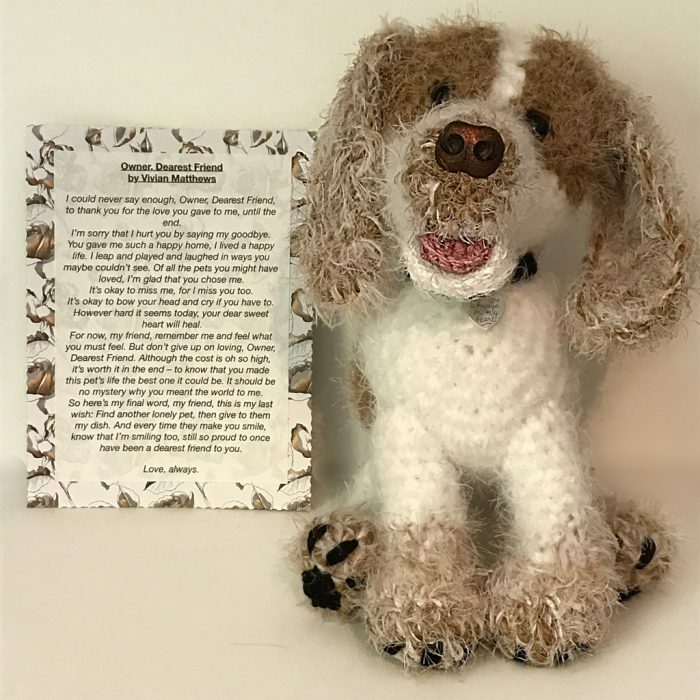 Lovingly Handmade Crochet have teamed up with the local pet crematorium Rainbow Bridge Pet Cremations to give you a truly unique way to commemorate your pet. We can either work directly through Rainbow Bridge (if you are local to Norfolk or Suffolk and have had your pet cremated with them), or you can place an order directly through us. 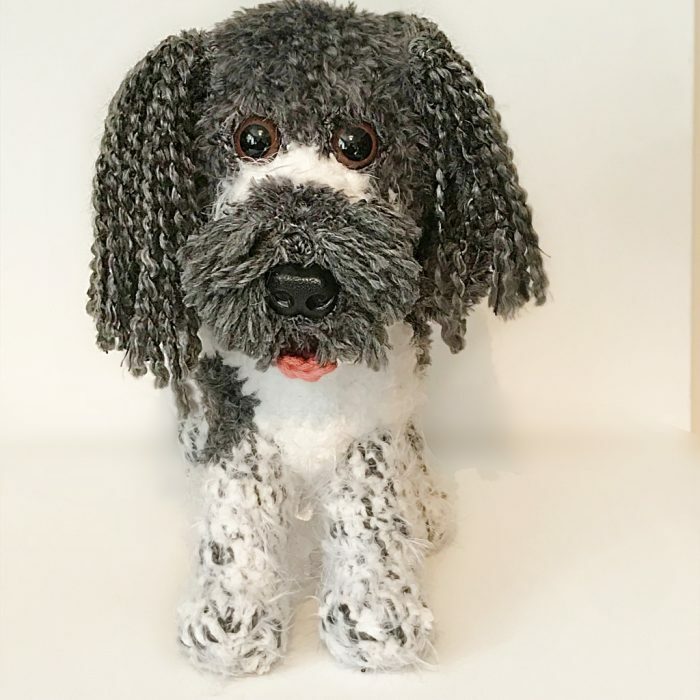 We will work with you to create your crochet urn keepsake. 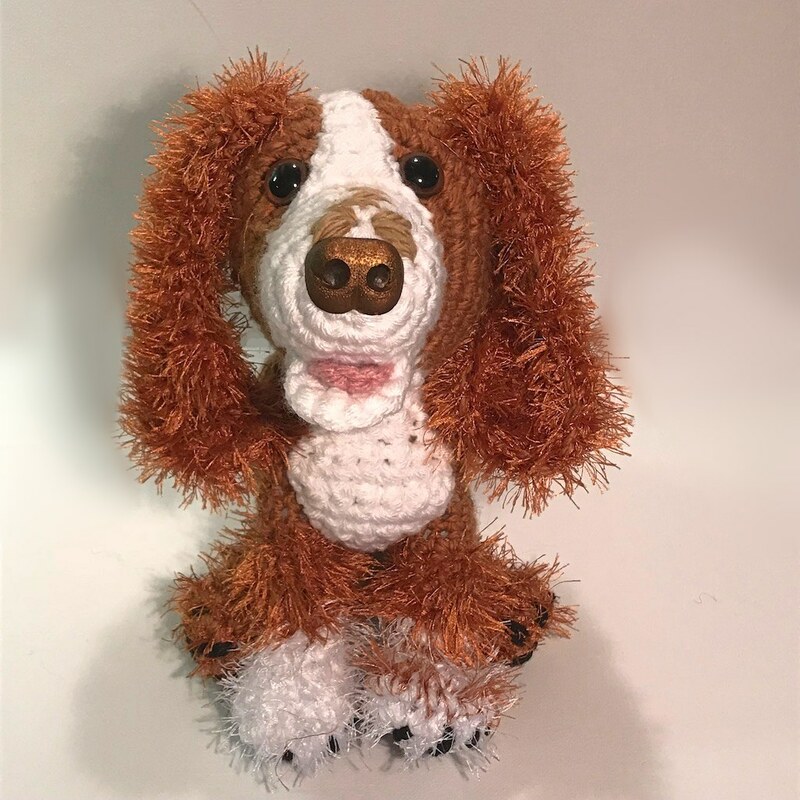 Each Lovingly Handmade crochet pet is painstakingly handcrafted to the likeness of your beloved pet. 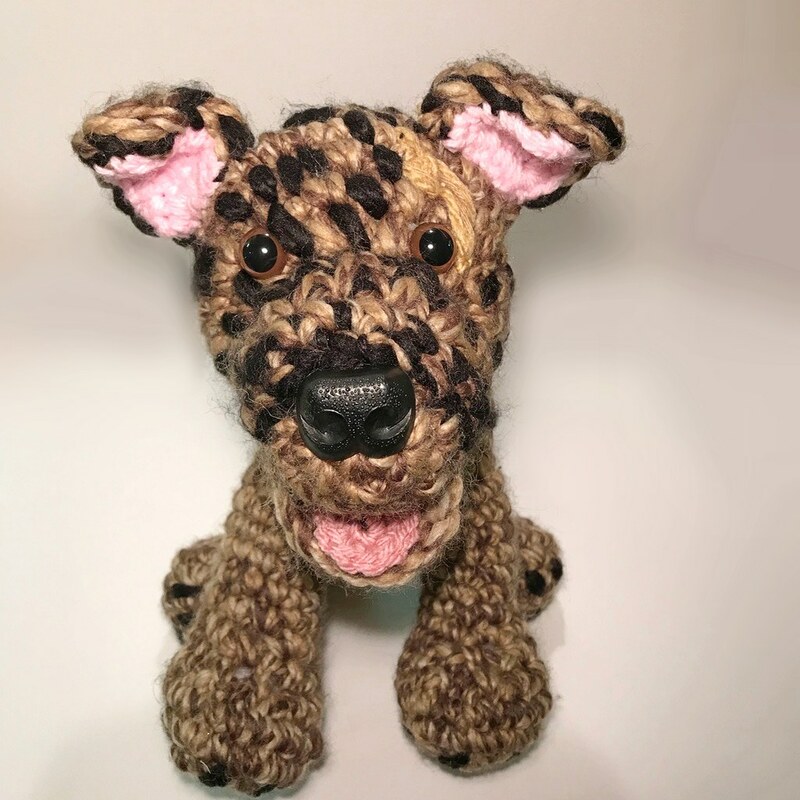 We will craft any pet, from dogs, cats and rabbits, to rats, tortoises and birds! Our memorial urns are available in three sizes to accommodate any type of pet. Each one is handcrafted to near perfect likeness in loving memory of your departed companion, just like our standard pet plushies. We will create your pet based on the quantity of ashes from your pet’s cremation. This means the size of the finished product will vary. The basis of the size of your finished plush will be the volume of ashes, with the body being made to accommodate these then other parts to scale based around this. 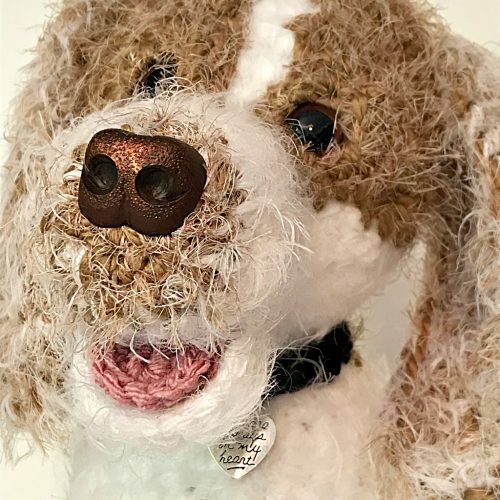 We take the utmost care and respect when creating your pet plush. 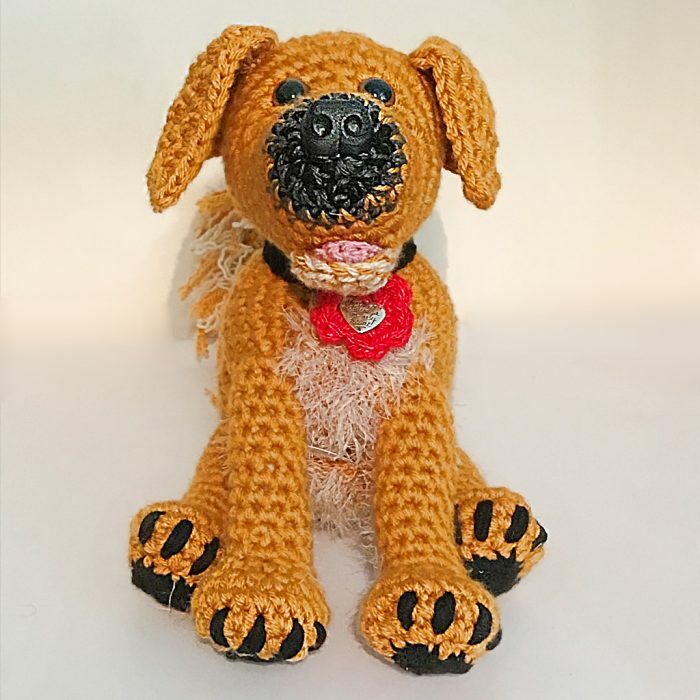 We will carefully recreate all the special details you give us of your pet. 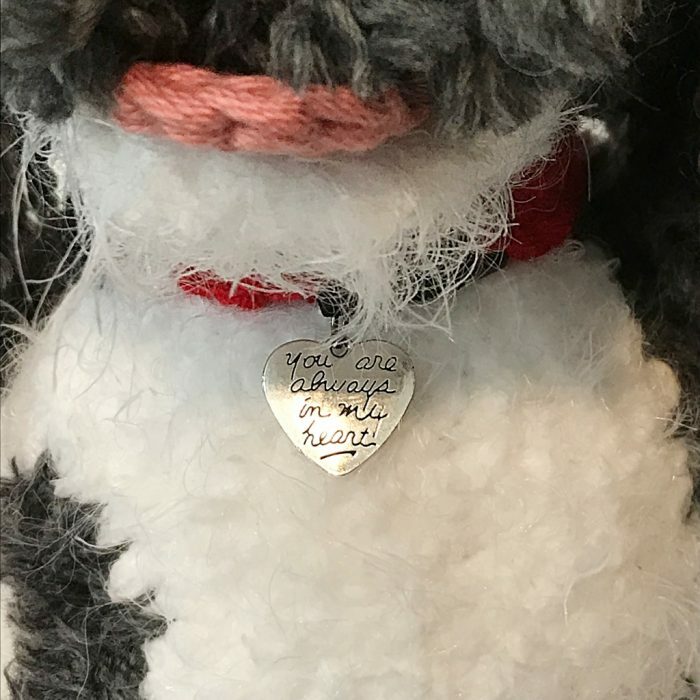 Each keepsake plush will include a special poem (and a memorial collar in a colour of your choice for appropriate pets). Memorial plushes are NOT toys. 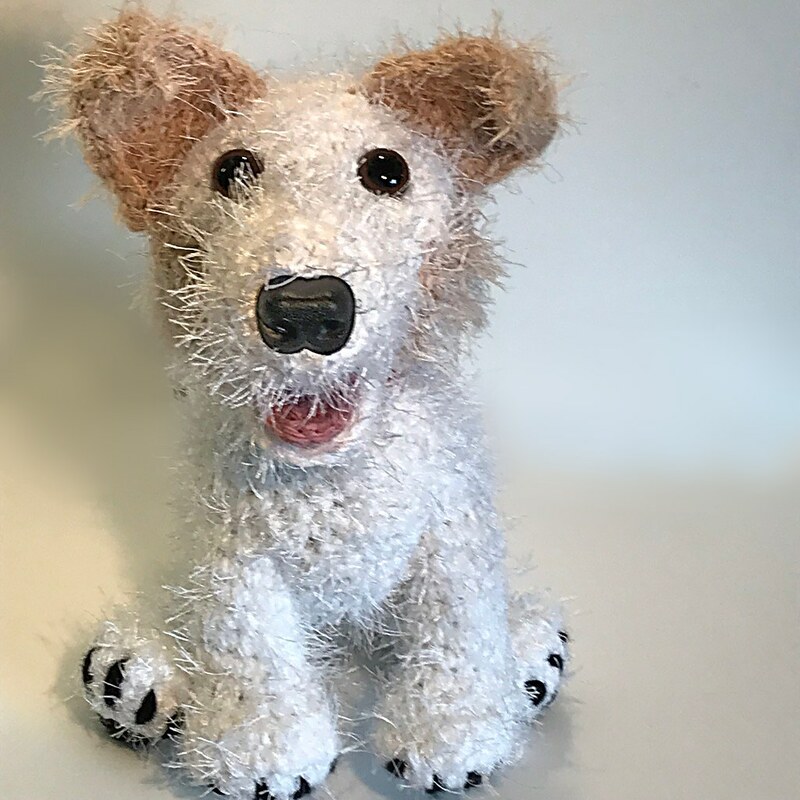 We use photographs of your pet so create your bespoke plush. We understand that this may be more difficult with pets that have passed away. Therefore, we ask you please to show as many details as close to the required photos as possible. 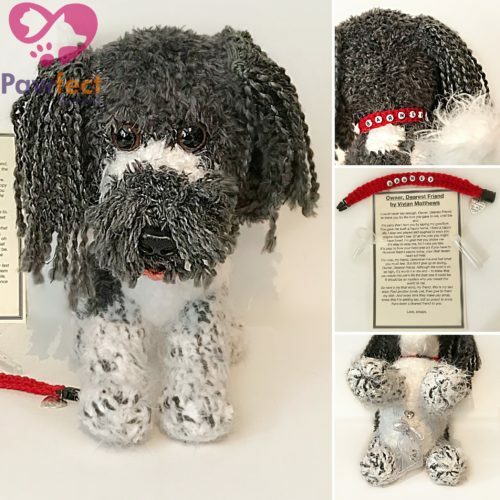 If you do not have photos of parts of the pet, we can use a description instead. 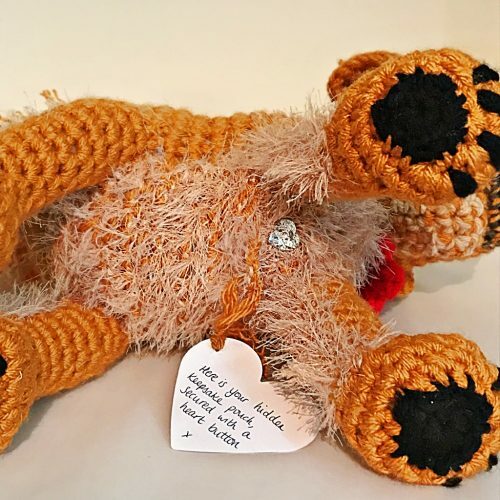 To send additional photographs please email us at: enquiries@lovinglyhandmadecrochet.co.uk and quote your order number. 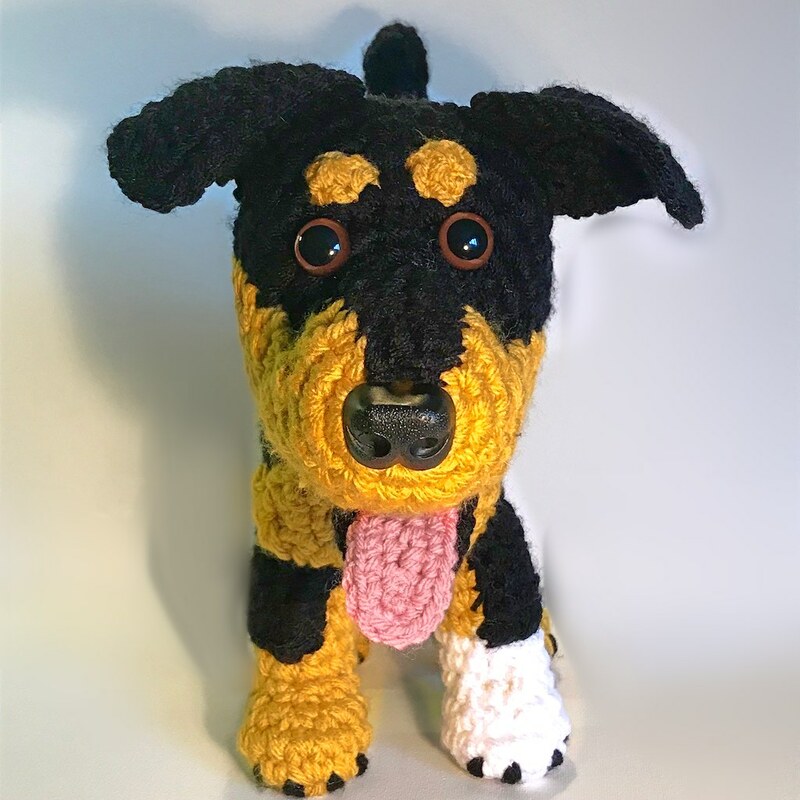 To complete your order, we will need photographs of the left/right sides of your pet, the front and rear, the belly and back, as well as paws, claws or feet, as well as a face closeup. 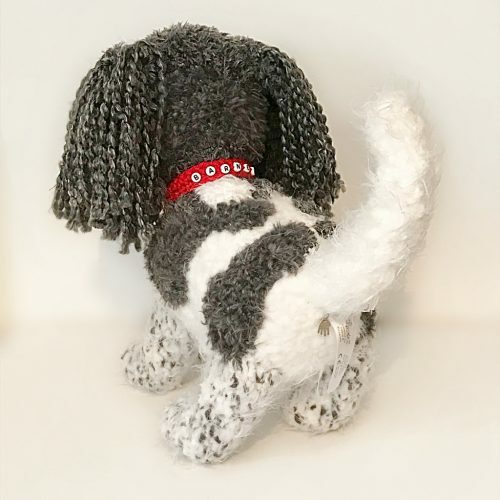 You should also try and send any other pictures that show the details that make your pet unique because it will help us make it as accurate as possible! We can only include the details we can see, or that you tell us about! Results are therefore dependent on the level of detail in the information you provide us with. You can see loads more examples of our work by visiting the Gallery Page.